Letter from John Wesley Carter in Chicopee Falls, Massachusetts to George L. Stearns. 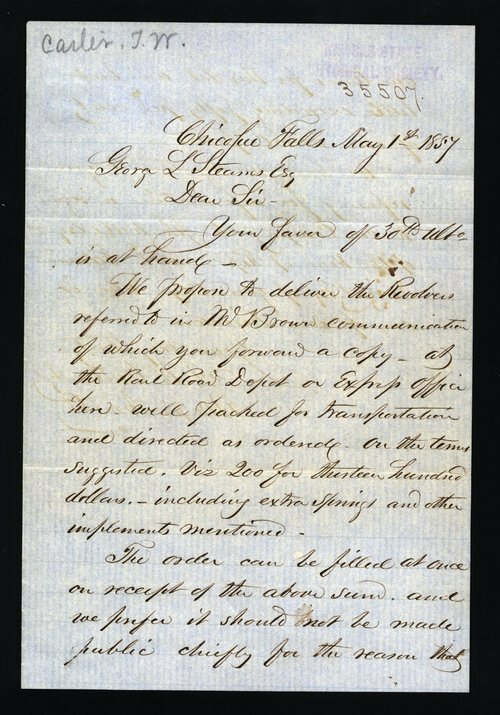 The letter concerns the delivery of revolvers that were requested by Capt. Brown in previous correspondence. The revolvers were sold at a discount to Brown, who most likely used the arms to defend the Free State cause. A searchable, full-text version of this letter is available by clicking "Text Version" below.